Vietnam’s capital races to make up for time lost to the ravages of war and a government that as recently as the 1990s kept the outside world at bay. Its streets surge with scooters vying for right of way amid the din of constantly blaring horns, and all around layers of history reveal periods of French and Chinese occupation – offering a glimpse into the resilience of ambitious, proud Hanoians. 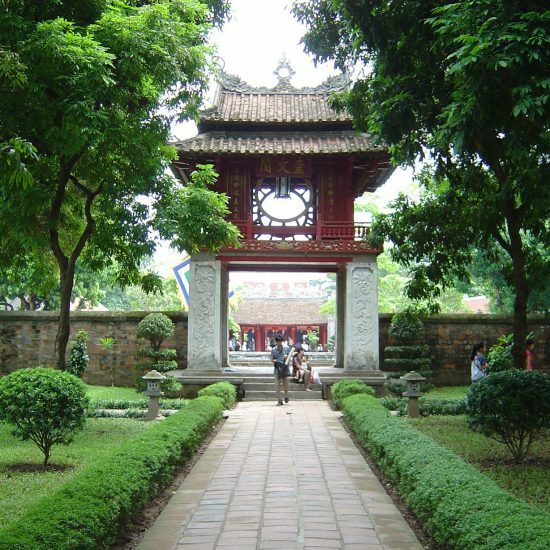 The site where Hanoi stands today has been inhabited since the Neolithic period. 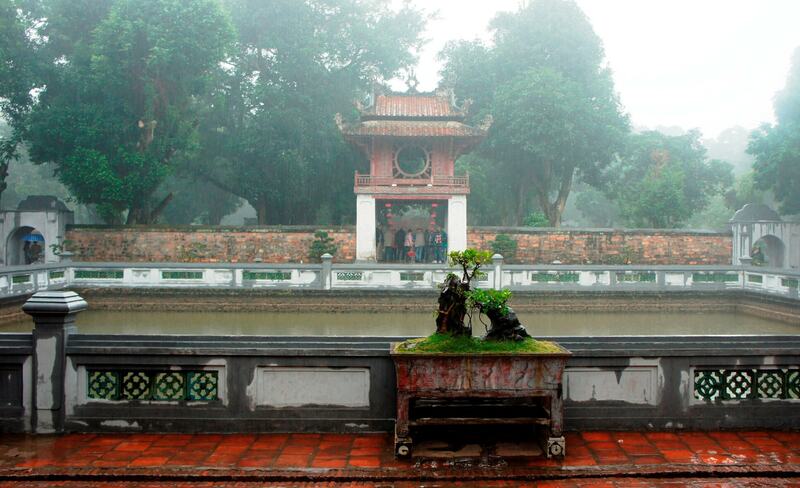 Emperor Ly Thai To moved his capital here in AD 1010, naming it Thang Long (Ascending Dragon). 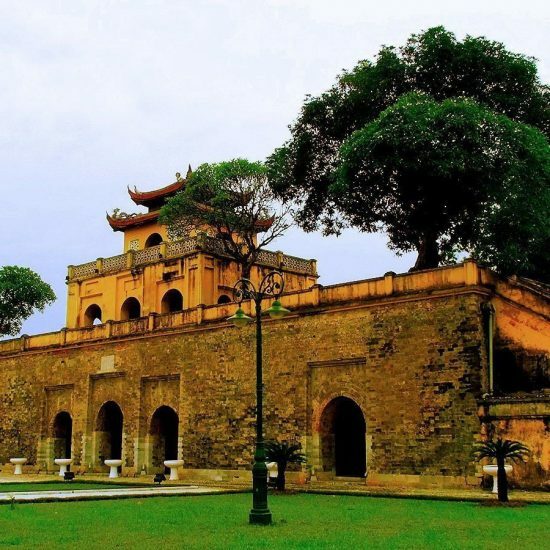 The decision by Emperor Gia Long, founder of the Nguyen dynasty in 1802, to rule from Hue relegated Hanoi to the status of a regional capital for a century. 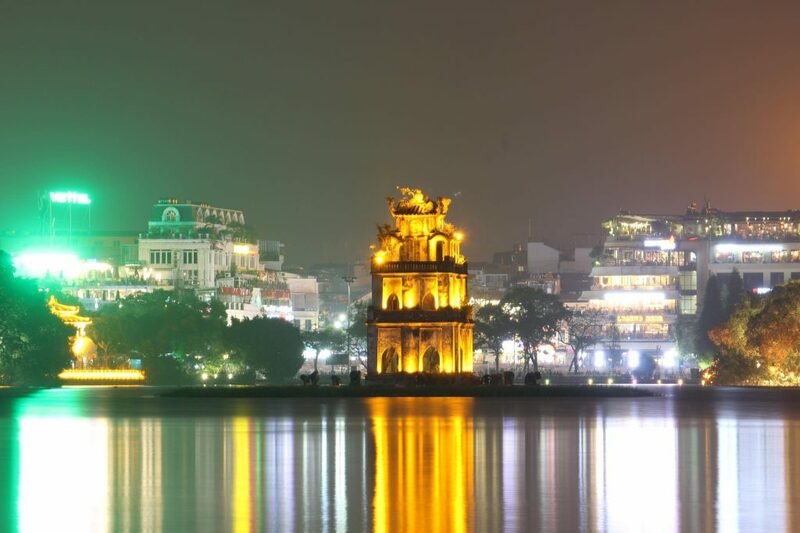 The city was named Hanoi by Emperor Tu Duc in 1831, from the words ‘Ha’ meaning ‘river’ and ‘Noi’ meaning ‘interior’, referring to its position alongside Song Hong (Red River). 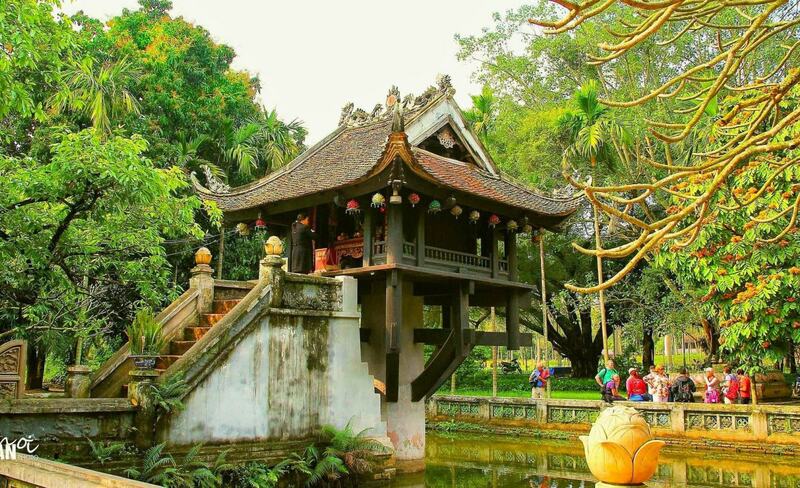 From 1902 to 1953, Hanoi served as the capital of French Indochina and was proclaimed capital of the Democratic Republic of Vietnam by Ho Chi Minh during the August Revolution of 1945. The French restored control and the First Indochina War ensued until 1954. Following the Geneva Accords of the same year, the Viet Minh, having driven the French from the city, were able to return. During the American War, heavy US bombing destroyed parts of Hanoi and killed hundreds of civilians. One of the prime targets was the 1682m-long Long Bien Bridge. US aircraft repeatedly bombed this strategic point, yet after each attack the Vietnamese managed to improvise replacement spans and return road and rail services. It is said that the US military ended the attacks when US POWs were put to work repairing the structure. 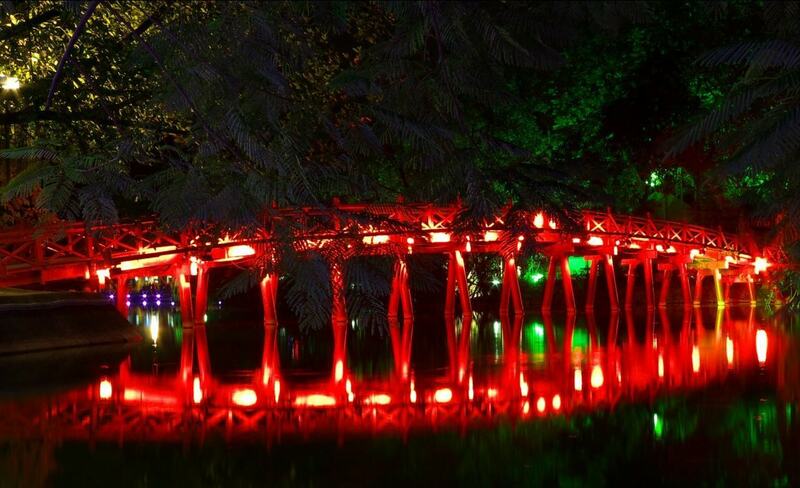 Today the bridge is renowned as a symbol of the tenacity and strength of the people of Hanoi. It’s hard to believe that Hanoi’s millions of motorbikes and scooters would have been an uncommon sight as recently as the early 1990s, when most people got around on bicycles and the occasional Soviet-era bus. 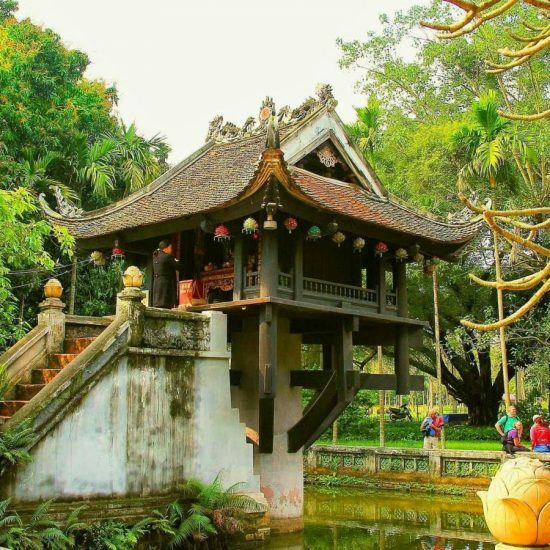 Today Hanoi’s conservationists fight to save historic structures, as the city struggles to cope with a booming population, soaring pollution levels and an inefficient public transport system that is only now being refreshed with a metro system. 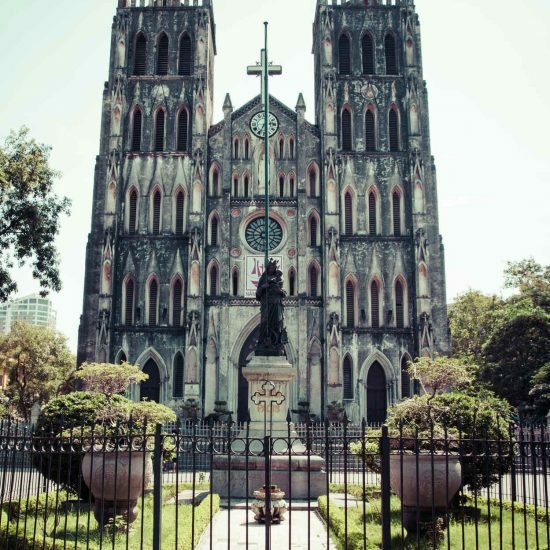 It’s a case of ‘get in quick’ before the voracious growth and hasty modernisation spurred on by Vietnam’s ‘free-market-friendly’ brand of communism drowns out history-rich Hanoi’s vibrant palette of Vietnamese, French, Russian and American influences. Hanoi’s historic heart, the ‘Old Quarter’, is home to over 1000 years of trade, commerce and activity, with no signs of slowing down. Although its name tends to evoke images of ancient lamp-lit streets lined with the wooden storefronts of traditional artisans, merchants and craftspeople, you’ll find the reality of the Old Quarter more gritty than romantic. In spite of this, the Old Quarter is what Hanoi is all about and adjusting your expectations will help you make the most of your time here. Initially, you’re likely to find negotiating the narrow streets of the Old Quarter an intimidating experience. Waves of motorbikes compete with cars and pedestrians pushing their way through the maze of countless copy-cat cheap hotels, shopfronts of knock-off wares and hawkers with their sizzling baskets, beneath an ever-present honking of horns and the heady aromas of exhaust fumes, street food and sweat. Watch where you tread on the sticky pavements, employ a strategy and determination when crossing the street, and remember to look up when you can: glimpses of the old and the very old indeed peek out occasionally from behind garish modern facades. 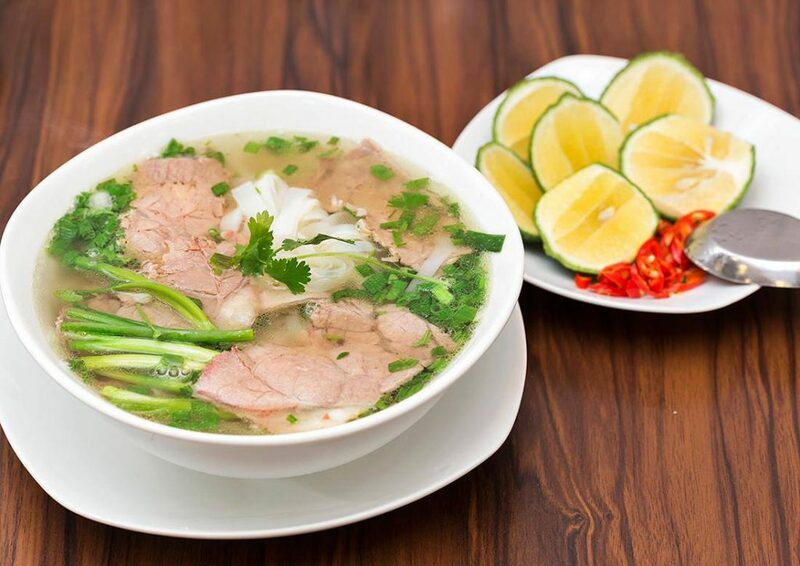 You’ll gain your confidence soon enough, and when you do, there’s no better way to spend time here than to wander, soaking up the sights, sounds and smells, and immersing yourself in the unique flavours of Hanoi’s streetside kitchens. Carry your hotel’s calling card, and if you get lost, it’ll be a cheap cab or xe om(motorbike taxi) ride back. The Old Quarter evolved between the Song Hong and the smaller To Lich River, which once flowed through the city centre in an intricate network of canals and waterways. Waters could rise as high as 8m during the monsoon. 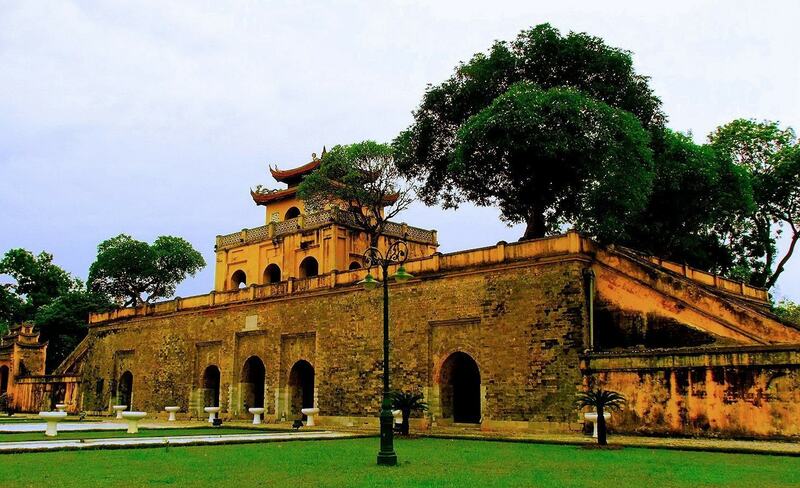 Dykes, which can still be seen along Tran Quang Khai, were constructed to protect the city. In the 13th century, Hanoi’s 36 guilds established themselves here, each taking a different street – hence the Vietnamese ’36 Pho Phuong’ (36 Guild Sts). There are more than double that many streets in the area today, typically named Pho Hang (Merchandise St) followed by the word for the product traditionally sold there. Some of the specialised streets include P Hang Quat, with its red candlesticks, funeral boxes, flags and temple items; and the more glamorous P Hang Gai, with its silk, embroidery, lacquerware, paintings and water puppets. Street names today do not always reflect the type of businesses in operation. Exploring the maze of backstreets is fascinating: some open up while others narrow into a warren of alleys. The area is known for its tunnel (or tube) houses, so called because of their narrow frontages and long rooms, developed to avoid taxes based on the width of their street frontage. By feudal law, houses were also limited to two storeys and, out of respect for the king, could not be taller than the royal palace. Today, as Old Quarter real estate prices are at a premium, most of the streets are lined with narrow, hastily constructed, six- to 10-storey buildings. A stroll through the historic Old Quarter can last from an hour to a day, depending on your pace and demeanor, during which opportunities to dispense with your fistfuls of Vietnamese dong are endless. Despite its evocative moniker, today’s French Quarter lacks the style and elegance of days past. Its once-glamorous villas, annexed by the Communist Party for government offices and repatriation housing, stand in disrepute, desperate for restoration. Many, occupying some of Hanoi’s prime development sites, have already been demolished in favour of taller, shinier things. 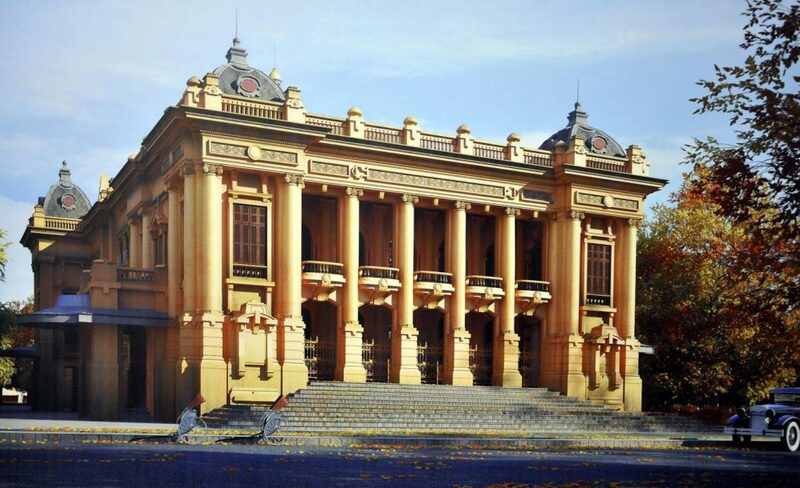 Those that have been best maintained serve as the offices for Hanoi’s foreign embassies and diplomatic outposts. In a way, there’s some sense of a cycle completing itself here: in creating a Parisian-style city befitting their new area of governance, the French colonialists appropriated and razed whatever traditional Vietnamese dwellings and monuments stood in their way. Occupying an area just south of Hoan Kiem Lake, west of the Song Hong as far as Hanoi train station (depending on whom you talk to), south until Thong Nhat Park (Reunification Park), and east to Hanoi Opera House, this quieter part of town is well worth a visit and is blessed with wide traffic-free pavements. Stroll among the embassies and crumbling villas, contemplating what once was and what once could have been. Modern Vietnamese artists are highly technically trained – many could copy a photographic portrait by hand with remarkable detail and accuracy, in a short space of time. 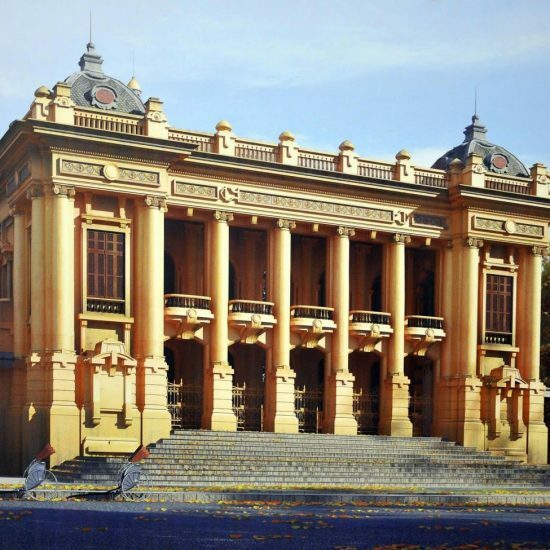 Prior to the Communist Party takeover, Vietnam had over 900 years of artistic heritage, which to this day provides many young Vietnamese with an exceptional creative skill set. That said, the Communist Party still curbs freedom of expression, forcing some artists and artisans to work underground. 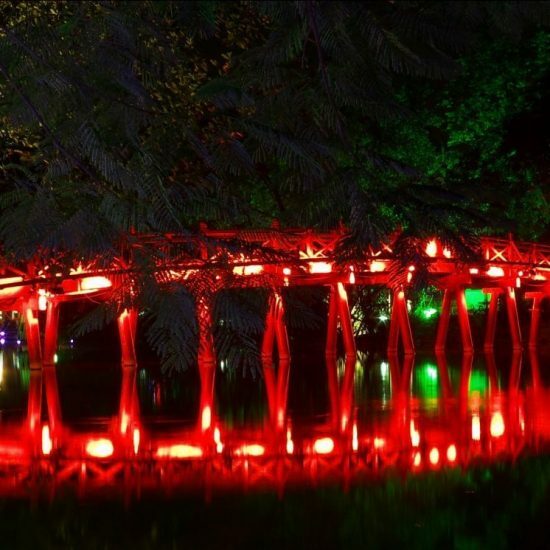 However, with an influx of tourism and interest from the West in recent years, Hanoi’s art scene in particular is gaining attention from the outside world. Ever so slowly, talented Vietnamese artists are getting the chance to expand their horizons and broaden their skills. The fertile alluvial soils of the Red River Delta nurture a rich rice crop, and many of the communities surrounding Hanoi are still engaged in agriculture. The contrast between modern Hanoi and the rural villages is stark. In recent decades, numerous villages surrounding Hanoi specialised in cottage industries, but many seem to have been swallowed up by Hanoi’s urban sprawl. There are two working villages in particular that remain a rewarding day trip, though having a good guide helps make the journey really worthwhile. 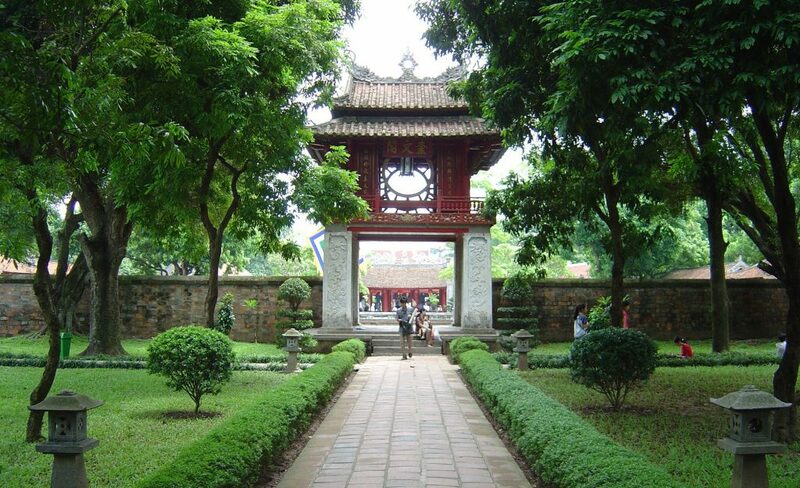 Most Hanoi tour operators can take you there. Bat Trang is known as the ‘ceramic village’. Here, artisans mass-produce ceramic vases and other pieces in their kilns. It’s hot, sweaty work, but the results are superb and very reasonably priced compared with the boutiques in town. There are masses of ceramic shops, but poke around down the lanes and behind the shops to find the kilns. Bat Trang is 13km southeast of Hanoi. Public bus 47 runs here from Long Bien bus station. A taxi there is about 150,000d. Van Phuc specialises in silk. Silk cloth is produced here on looms and lots of visitors like to buy or order tailor-made clothes. Many of the fine silk items you see on sale in Hanoi’s P Hang Gai are made in Van Phuc. 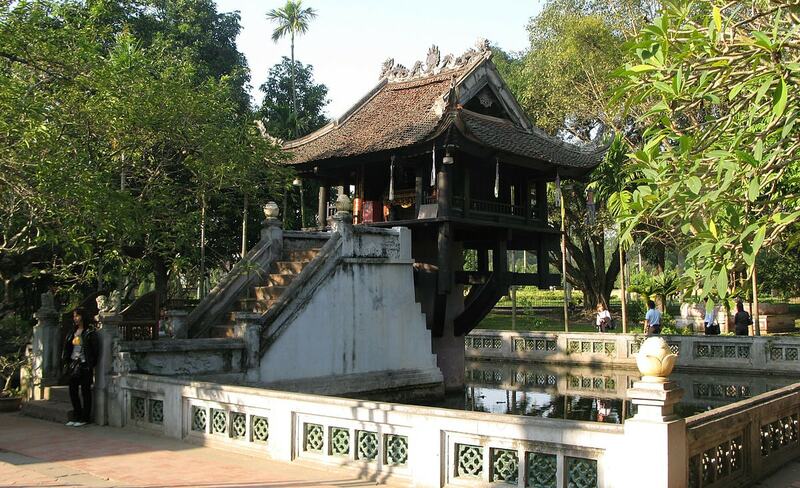 There’s also a pretty village pagoda with a lily pond. 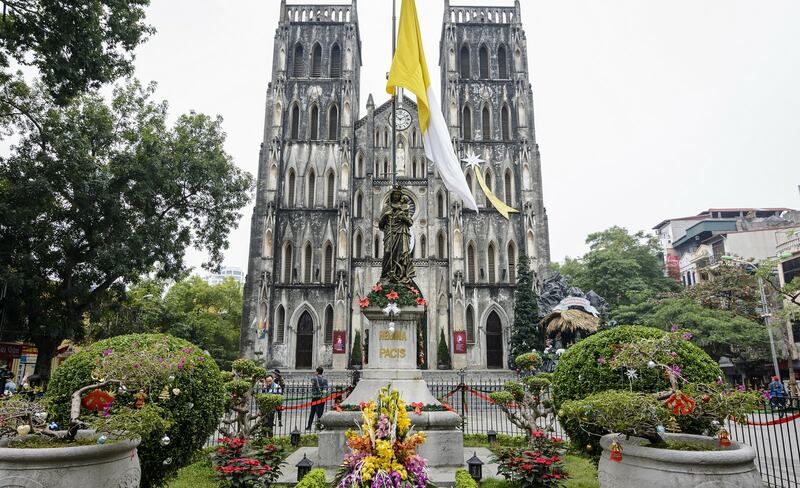 Van Phuc is 8km southwest of Hanoi; take city bus 1 from Long Bien bus station. Look out for the well-signposted gate. 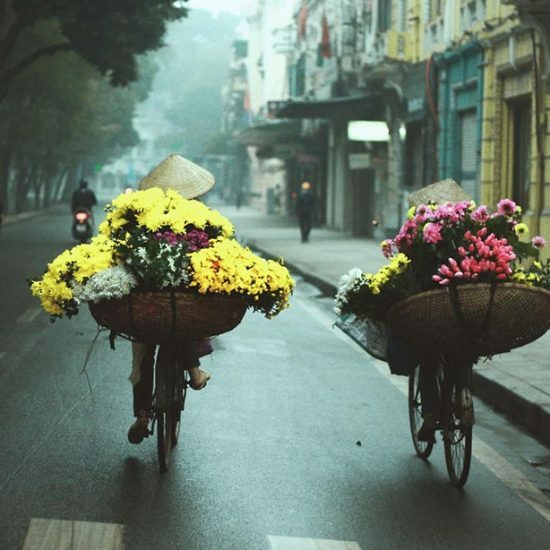 Many tour operators in Hanoi offer cycling tours to villages near Hanoi – a great way to discover a different world. An extra US$10 to $20 makes a big difference in Hanoi accommodation: splurge if you can. Expect to pay US$20 to $30 for a compact budget room. For around US$30 to $50 you’ll get more space, a smart TV and minibar. For US$75 to $100 you should get a ‘junior suite’ in a contemporary boutique hotel with stylish appointments, bathtub and balcony. Over US$100 buys international four- to five-star standards. The advantages of staying in the Old Quarter – the most popular area – are that you get an overwhelming range of options and proximity to attractions. The disadvantages are also an overwhelming range of options and it’s busy, noisy and gritty. Some guests will prefer paying extra to stay in the quieter French Quarter. Backpacker accommodation in Hanoi is plentiful, and a new breed of flash backpackers and boutique hostels bring luxury touches to the Old Quarter. For US$8 to $10 you can get a soft, clean dorm bed and modern shared bathroom. 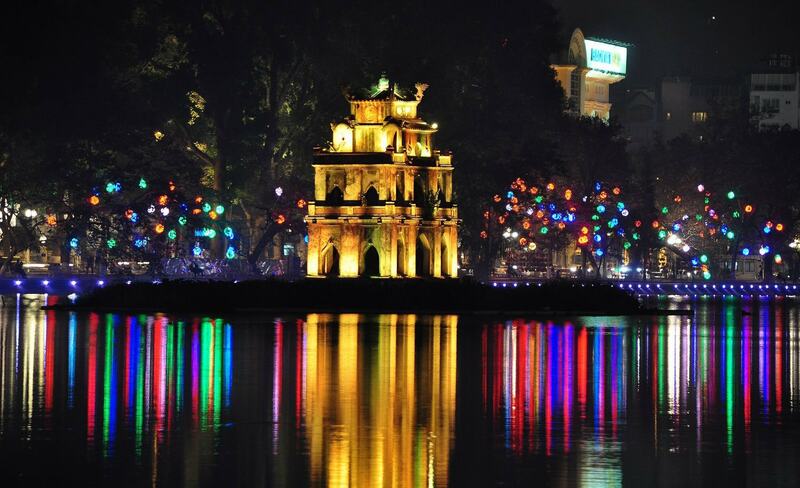 Although the Old Quarter is often referred to specifically as the area north of Hoan Kiem Lake, the area to the west of the lake has a high concentration of hotels and is still considered to be part of the neighbourhood. 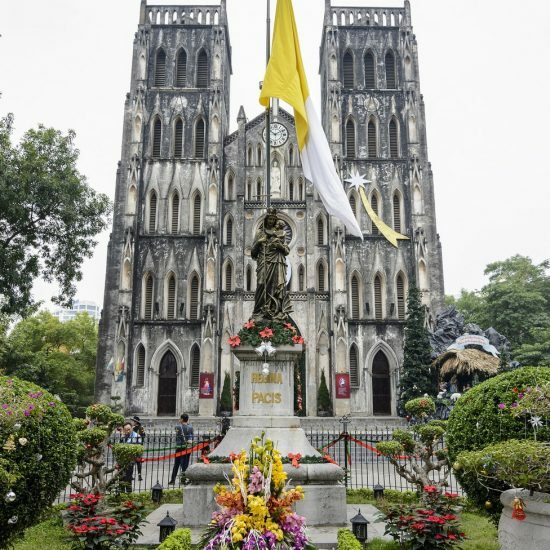 Here you’ll find P Ngo Huyen with its glut of cheap dorms, and nearby, the calmer, atmospheric streets around St Joseph Cathedral – light sleepers be warned, the cathedral bells start tolling every quarter hour from 5am. This popular area sees a high turnover of guests (read: wear and tear) and hostel facilities are basic at best. 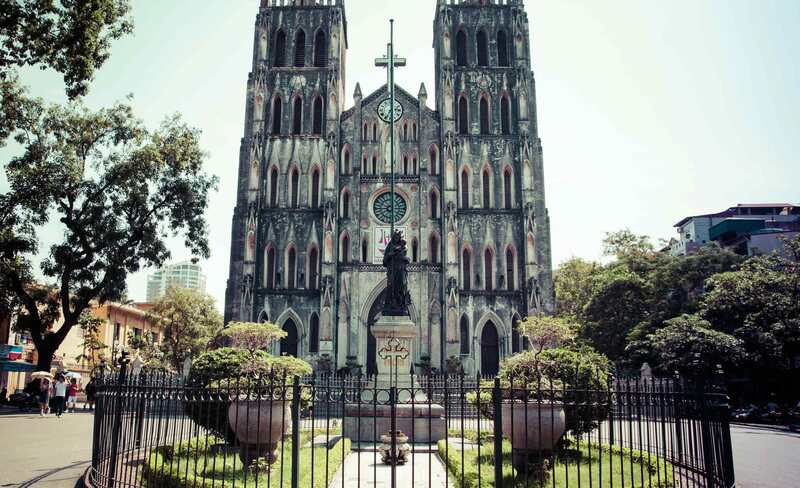 We define the French Quarter as the area just south of Hoan Kiem Lake, east of the Song Hong, west as far as Hanoi train station and south of Thong Nhat Park. Hanoi is an international city, and whatever your budget or tastes, it’s available here. If you’ve just flown in, dig into the fragrantly spiced local cuisine – the city’s street food is an essential experience. If you’ve been up in the hills of northern Vietnam subsisting on noodles and rice, the capital’s cosmopolitan dining will be a welcome change. Deciphering Hanoi’s street-food scene can be bewildering, but it’s worth persevering and diving in. The city’s best food definitely comes from the scores of vendors crowding the city’s pavements with smoking charcoal burners, tiny blue plastic stools and expectant queues of canny locals. Many of the stalls have been operating for decades, and often they offer just one dish. After that long perfecting their recipes, it’s little wonder the food can be sensational. Note that opening hours may change and prices vary. Expect to pay 25,000d to 70,000d, depending on what you devour. Bun Rieu Cua Get to this incredibly popular spot early, as its sole dish of bun rieu cua (noodle soup with beef in a spicy crab broth) is only served for a couple of hours from 7am. Bun Cha Nem Cua Be Dac Kim Visiting Hanoi and not eating bun cha(barbecued pork with rice vermicelli) with a side of nem cua be (sea-crab spring rolls) should be classed as a capital offence. Banh Mi Pho Hue Banh mi (sandwich) vendors abound in Hanoi, although the phenomenon is less popular than in Ho Chi Minh City. This place is usually packed with locals. Pho Thin Negotiate your way to the rear of this narrow, rustic establishment and sit down to some excellent pho bo (beef noodle soup). 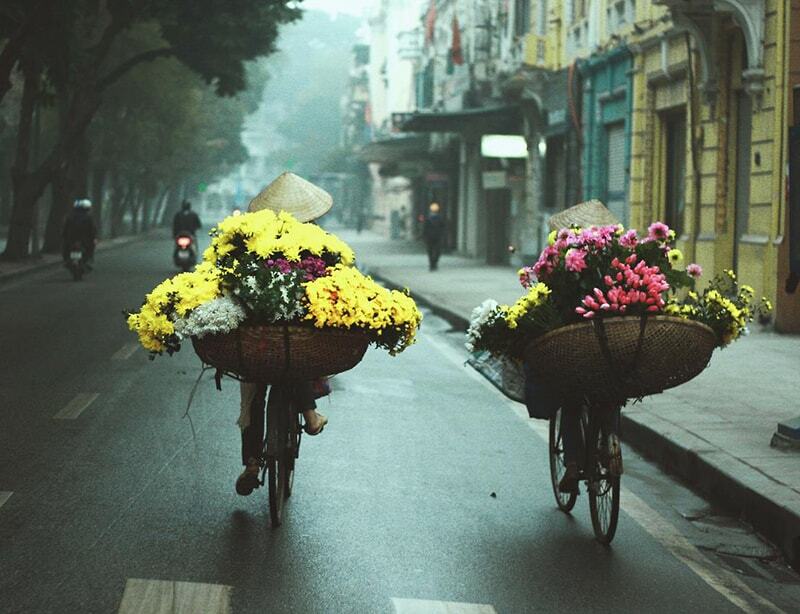 A classic Hanoi experience. Banh Cuon Don’t even bother ordering here; just squeeze in and a plate of gossamer-light banh cuon (steamed rice crêpes filled with minced pork, mushrooms and shrimp) will be placed in front of you. Banh Goi Nestled under a banyan tree near St Joseph Cathedral, this humble stall turns out banh goi, moreish deep-fried pastries crammed with pork, vermicelli and mushrooms. Bun Bo Nam Bo Bun bo nam bo (dry noodles with beef) is a dish from southern Vietnam, but it’s certainly travelled north well. Mix in bean sprouts, garlic, lemongrass and green mango for a filling treat. Xoi Yen Equally good for breakfast or as a stodgy hangover cure, Xoi Yen specialises in sticky rice topped with goodies, including sweet Asian sausage, gooey fried egg and slow-cooked pork. Watching it being prepared is half the fun. Mien Xao Luon Head to this humble stall trimmed with mini-mountains of fried eels for three different ways of eating the crisp little morsels. Try them stir-fried in vermicelli with egg, bean sprouts and shallots. Che In winter try che banh troi tau, sweet mung beans with sesame and ginger, or in summer che thap nam with coconut milk, crushed peanuts, lotus seeds and dried apples. To combine eating with exploration, head to these locations crammed with interesting restaurants and food stalls. Pho Cam Chi This narrow lane is packed with local eateries turning out cheap, tasty food for a few dollars. Cam Chi translates as ‘Forbidden to Point’ and dates from centuries ago. It is said that the street was named as a reminder for the local residents to keep their curious fingers in their pockets when the king and his entourage went through the neighbourhood. Cam Chi is about 500m northeast of Hanoi train station. Adjoining Tong Duy Tan is also crammed with good eating. 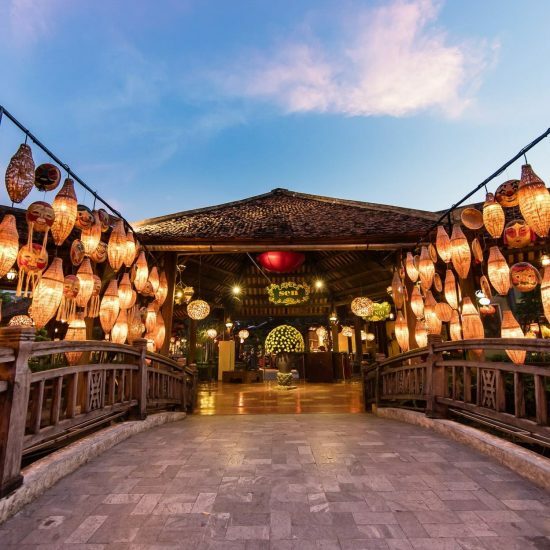 Ðuong Thuy Khue On the southern bank of West Lake, Ð Thuy Khue features dozens of outdoor seafood restaurants with a lakeside setting. The level of competition is evident by the daredevil touts who literally throw themselves in front of oncoming traffic to steer people towards their tables. You can eat well here for about 150,000d per person. Truc Bach A quieter waterfront scene is around the northeast edge of Truc Bach Lake. Many lau (hotpot) restaurants are huddled together in an almost continuous strip for a few hundred metres. Grab a few friends and settle in at one of the dinky lakeside tables for a DIY session of fresh seafood, chicken or beef. It’s perfect on a cool Hanoi night. Pho Nghi Tam About 10km north of central Hanoi, P Nghi Tam has a 1km-long stretch of about 60 dog-meat restaurants: keep an eye out for the words thit cho (dog meat). Hanoians believe that eating dog meat in the first half of the month brings bad luck, so the restaurants are deserted then. On the last day of the lunar month, however, they’re packed with locals. Cho Am Thuc Ngoc Lam Across the Song Hong (Red River), in Long Bien, this sprawling riverfront food street is popular with locals and heavy on seafood. There are excellent views of the Chuong Duong and Long Bien bridges. Beware the cluster of thit cho dog-meat restaurants at the start of the strip. Hanoi’s eclectic drinking scene features grungy dive bars, Western-style pubs, one gay bar, sleek lounge bars, cafes and hundreds of bia hoi joints. The best places for a bar crawl include traveller-friendly P Ta Hien in the Old Quarter, and Ngo Bao Khanh near the northwest edge of Hoan Kiem Lake. An alternative scene, popular with expats, is on P Xuan Dieu in the West Lake area. ‘Tram phan tram!’ Remember these words, as all over Vietnam, glasses of bia hoi are raised and emptied, and cries of tram phan tram (‘100%’ or ‘bottoms up’) echo around the table. Bia hoi is Vietnam’s very own draught beer or microbrew. This refreshing, light-bodied pilsner was first introduced to Vietnam by the Czechs in a display of Communist solidarity. Brewed without preservatives, it is meant to be enjoyed immediately and costs as little as 5000d a glass. Hanoi is the bia hoi capital of Vietnam and there are microbars on many Old Quarter street corners. A wildly popular place unofficially known as ‘Bia Hoi junction’ and ‘Beer Corner’ is at the corner of P Ta Hien and P Luong Ngoc Quyen, in the heart of the Old Quarter. It’s now packed with backpackers and travellers though, and has lost most of its local charm. Did you really come all this way to drink Heineken and talk to boozed neighbours from Jersey City or Johnsonville? An alternative, more local bia hoi junction is where P Nha Hoa or P Bat Dan meets P Duong Thanh on the western edge of the Old Quarter. For something to go with the beer, Bia Hoi Ha Noi also does the best spare ribs in town; Nha Hang Lan Chin is famed for vit quay (roast duck); and you can’t go past Quan Bia Minh for well-priced Vietnamese food and excellent service led by the eponymous Mrs Minh. Hanoi is definitely not a clubbers’ paradise, and the often-enforced curfew means dancing is pretty much confined to bar-clubs in and around the Old Quarter. The no-fun police supervise strict opening hours and regularly show up to compel the closure of bars and clubs that flout this law. This makes for minimal action after midnight during the week. Weekends are getting busier now that the Old Quarter is allowed to stay open until 2am on Fridays, Saturdays and Sundays. In any case, lock-in action after curfew does occur; ask around in Hanoi’s hostels to find out which bars are currently staying open beyond the witching hour. There is plenty of Vietnamese folk and traditional theatre aimed at visitors. If water puppets and showy costumes are not your thing, seek out small cafes that double as performance spaces where jazz and other vocalists perform almost within touching distance. 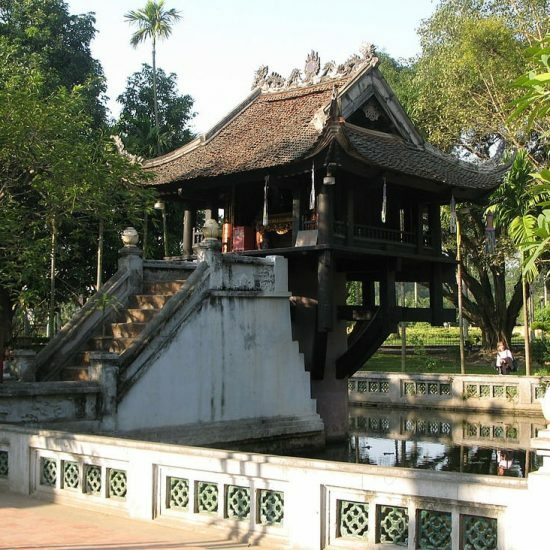 Traditional music is usually performed daily at the Temple of Literature. The ancient art of water puppetry (roi nuoc) was virtually unknown outside of northern Vietnam until the 1960s. It originated with rice farmers who worked the flooded fields of the Red River Delta. Some say they saw the potential of the water as a dynamic stage; others say they adapted conventional puppetry during a massive flood. Whatever the real story, the art form is at least 1000 years old. Performances take place at the Municipal Water Puppet Theatre. The farmers carved the human and animal puppets from water-resistant fig-tree timber (sung) and staged performances in ponds, lakes or flooded paddy fields. Today a tank of waist-deep water is used for the ‘stage’. The glossy, painted puppets are up to 50cm long and weigh as much as 15kg. Some puppets are simply attached to a long pole, while others are set on a floating base, in turn attached to a pole. In the darkened auditorium, it appears as if they are walking on water. If used continually, each puppet has a lifespan of about four months: puppet production provides several villages outside Hanoi with a full-time livelihood. Eleven puppeteers, each trained for a minimum of three years, are involved in the performance. Their considerable skills were traditionally passed only from father to son, for fear that daughters would marry outside the village and take the secrets with them. Traditional live music is as important as the action on stage. Each memorable performance consists of a number of vignettes depicting pastoral scenes and legends. One scene tells of the battle between a fisherman and his prey, which is so electric it is as if a live fish were being used. There are also fire-breathing dragons (complete with fireworks) and a flute-playing boy riding a buffalo. The water puppets are both amusing and graceful, appearing and disappearing as if by magic. Spectators in front-row seats can expect a bit of a splash! For Vietnamese handicrafts, including textiles and lacquerware, head to the stores along P Hang Gai, P To Tich, P Hang Khai and P Cau Go. P Hang Gai and its continuation, P Hang Bong, are good places to look for embroidered tablecloths, T-shirts and wall hangings. P Hang Gai is also a fine place to buy silk and have clothes custom-made. Many Old Quarter guesthouses and cafes rent bikes for about US$3 per day. Good luck with that traffic – be safe! Hanoi Bicycle Collective Vietnamese bikes and mountain bikes (phone ahead one day prior to book) can be rented at this funky spot that also doubles as a cafe and gin bar. Grab a Spanish-style bocata sandwich before setting off around the 15km lakeside path around West Lake. Check the website for regular rides around the city hosted by the Collective. Hanoi has an extensive public bus system, though few tourists take advantage of the rock-bottom fares (3000d). If you’re game, pick up the Xe Buyt Ha Noi (Hanoi bus map; 5000d) from the Thang Long bookshop. Getting around Hanoi by motorbike means relentless traffic, nonexistent road manners and inadequate street lighting. Factor in possible theft, parking hassles and bribe-happy police, and it’s not for the timid. Intrepid types can arrange mopeds for around US$5 per day in the Old Quarter. A few cyclo drivers still frequent the Old Quarter, and if you’re only going a short distance, it’s a great way to experience the city (despite the fumes). Settle on a price first and watch out for overcharging – a common ploy when carrying two passengers is to agree on a price, and then double it upon arrival, gesturing ‘no, no, no…that was per person’. Aim to pay around 50,000d for a shortish journey; night rides are more. Few cyclo drivers speak English so take a map and your hotel calling card with you. Hanoi’s golf-buggy-esque ecofriendly Electric Bus tour is actually a pretty good way to get your bearings in the city. 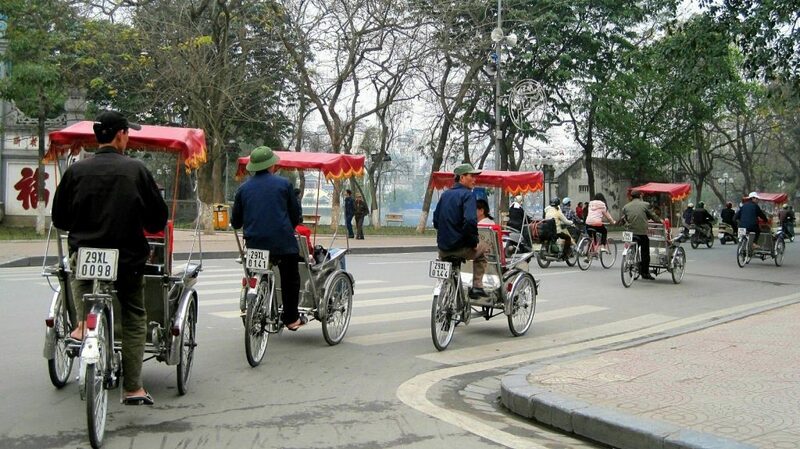 It traverses a network of 14 stops in the Old Quarter and around Hoan Kiem Lake, parting the flow of motorbikes and pedestrians like a slow-moving white dragon. Nothing really beats haphazardly discovering the nooks and crannies of the Old Quarter by foot, but if you’re feeling a tad lazy, the hop-on, hop-off bus is worth considering. The main departure point is the northern end of Hoan Kiem Lake, and there’s another departure point outside Dong Xuan Market. A full journey around the Old Quarter takes around an hour, with a recorded English-language commentary as you ride. You won’t have any trouble finding a xe om (motorbike taxi) in Hanoi. 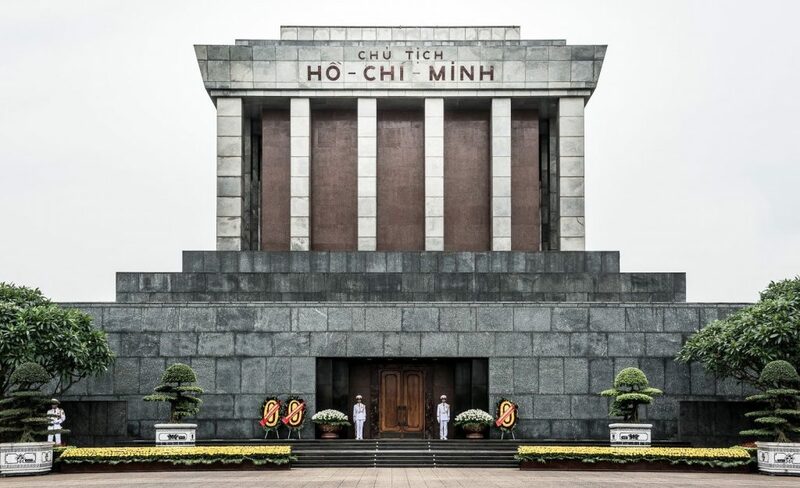 An average journey in the city centre costs around 15,000d to 20,000d, while a trip further to Ho Chi Minh’s Mausoleum is around 35,000d to 40,000d. For two or more people, a metered taxi is usually cheaper than a convoy of xe om. Several reliable companies offer metered taxis. All charge fairly similar rates. Flag fall is around 20,000d, which takes you 1km to 2km; every kilometre thereafter costs around 15,000d. Some dodgy operators have high-speed meters, so use these more reliable companies and beware of copycats with similar colours. App-based companies Uber (uber.com) and Grab (grab.com) operate taxi-like cars and motorbikes in Hanoi, even from the airport. Hanoi desperately needs more transport options to ease road congestion. Promisingly an eight-line metro system is in the works. The mostly underground Line 2 will be the most useful to visitors, running from Noi Bai Airport and stopping at the expat neighbourhood of Tay Ho at West Lake, then to Hoan Kiem Lake and Hai Ba Trung. Local businesses have a long wait to see if their fears of an eyesore around the lakes come true. The first trains were scheduled to start in 2020, but the project is already running behind. 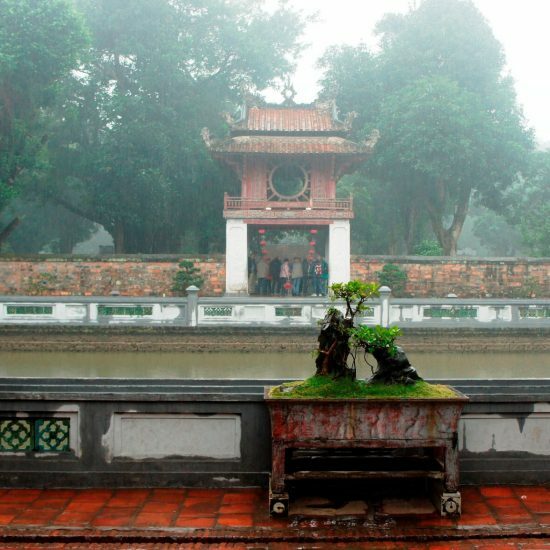 Rise early for a morning walk around misty Hoan Kiem Lake before a classic Hanoi breakfast of pho bo (beef noodle soup) at Pho Thin. 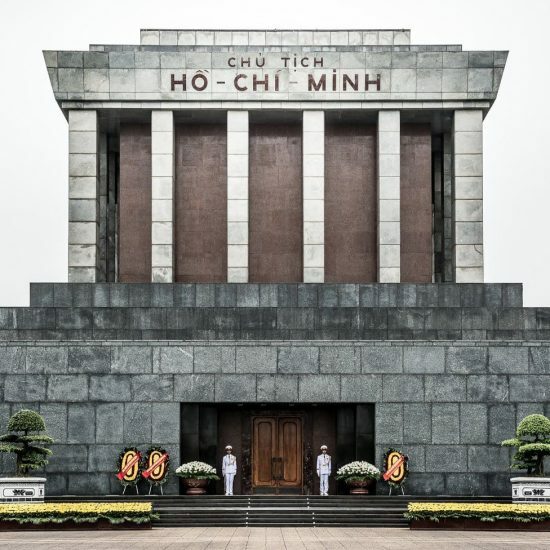 Get up to speed on Uncle Ho with a visit to the Ho Chi Minh Mausoleum Complex and nearby Ho Chi Minh Museum. Wander back down P Dien Bien Phu to the Vietnam Military History Museum. Have a strong Vietnamese coffee at Cong Caphe before visiting the cultural treasures of the Fine Arts Museum of Vietnam. Grab a cab to lunch at La Badiane before continuing to the peaceful Temple of Literature. Catch another cab to immerse yourself in the organised chaos of the Old Quarter, or contemplate history at the Vietnamese Women’s Museum. 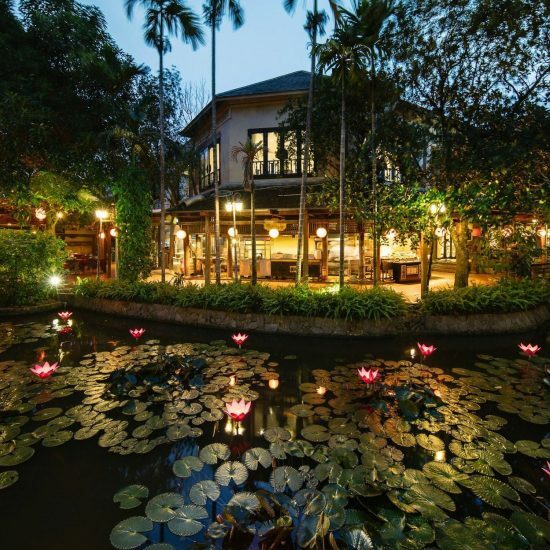 Make time to stop for a refreshing glass of bia hoi (draught beer) and catch a performance of the water puppets before heading north of the lake to the welcoming Blue Butterfly for dinner. 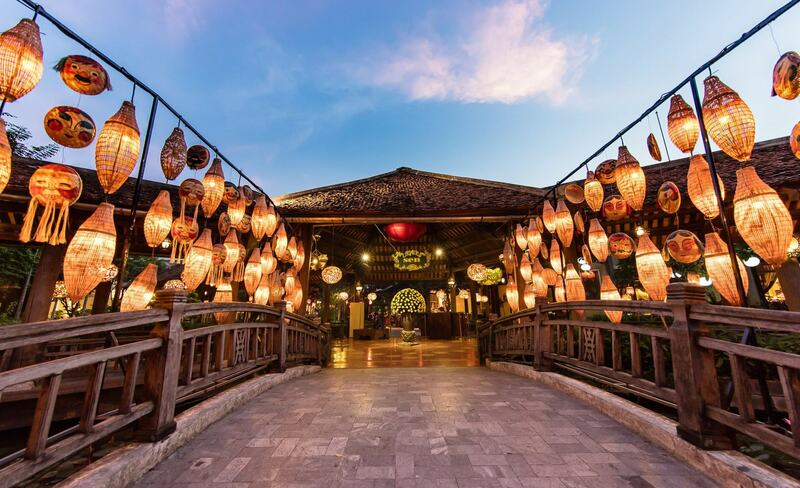 Head into the suburbs to the excellent Vietnam Museum of Ethnology. Back in the city have lunch at Chim Sao before exploring the Museum of Vietnamese Revolution and the adjacent National Museum of Vietnamese History. The architecture at the latter is stunning, and the contents a fine introduction to 2000 years of highs and lows. After dinner at Cha Ca Thang Long or Old Hanoi, head for drinks at Cama ATK or the Summit Lounge. Jan–Apr Cooler days collide with the energy and colour of the Tet festival. Jun–Aug Heavy heat and humidity signals low season in Hanoi: bargains on hotel suites abound. 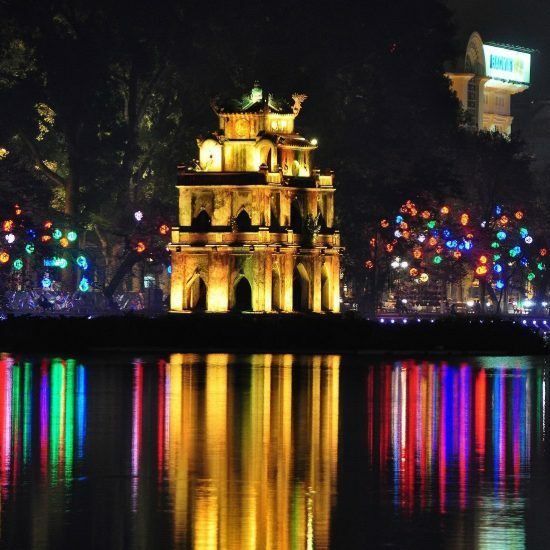 Oct–Dec Clear, sunny days and cooler temperatures make this the ideal time to visit Hanoi.